FOR IMMEDIATE RELEASE: Kara Armano — Tue., Jan 15, 10:31 AM to Kara, bcc: me. Hello, RIO Products, Sage, Fishpond, Redington, Chaco, Far Bank, and So and So… is excited to bring anglers its new . . .
You guessed it, Armano is a freelance PR manager. 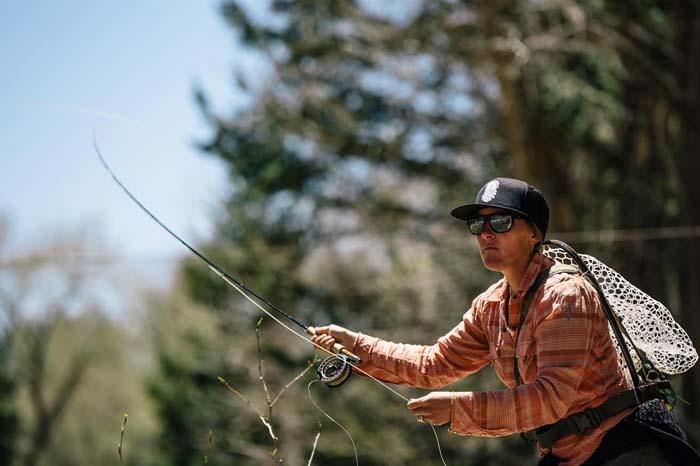 Her clients are the who’s who of the fly fishing industry. Why? Because she knows what she’s talking about when it comes to all things fly fishing. She generally knows it as well as the sales department of the company she is representing and that has commercial benefits. Kara Armano believes that Artemis must do everything in its power to encourage women to get involved in the local, state and at a national level to preserve our resources for sportswomen of future generations. Kara is looking forward to the swell of women speaking out for conservation and sportswoman issues across the country. Photo is of Kara Armano and provided by her. My great grandmother taught me at a very young age to appreciate the outdoors and explore my surroundings. She did the same with my father, and he introduced me to fly fishing while I was young. I can’t recall exactly when I first started, but I yearned to get on the water regularly at about age 10. Since then, I’ve fished mainly in the Rocky Mountain West on some of the most famed trout waters such as Rock Creek, the Madison, the Frying Pan, and Colorado Rivers and many many small streams. Fortunately, I stumbled into making fly fishing my career about ten years ago while working at a marketing and PR agency. I was the only one in the office who fished, so when a fly-fishing client came knocking I answered. Since then, I’ve managed the PR for several famed fly-fishing manufacturers and destinations and still do so today in a freelance capacity. Because of that, I’ve been fortunate to travel to many incredible destinations to fish like the Florida Keys, Mexico, Belize, the Dean River in British Columbia and many more incredible places. In addition to making it my day-to-day work, I also volunteer to educate and engage anglers in conservation efforts. Recently, that has been as one of the co-founders of Artemis, a sportswomen’s conservation organization hosting events, writing letters to the editor, calling elected officials, helping with advocacy pieces of training and much more. Featured Image courtesy of ARTEMIS.